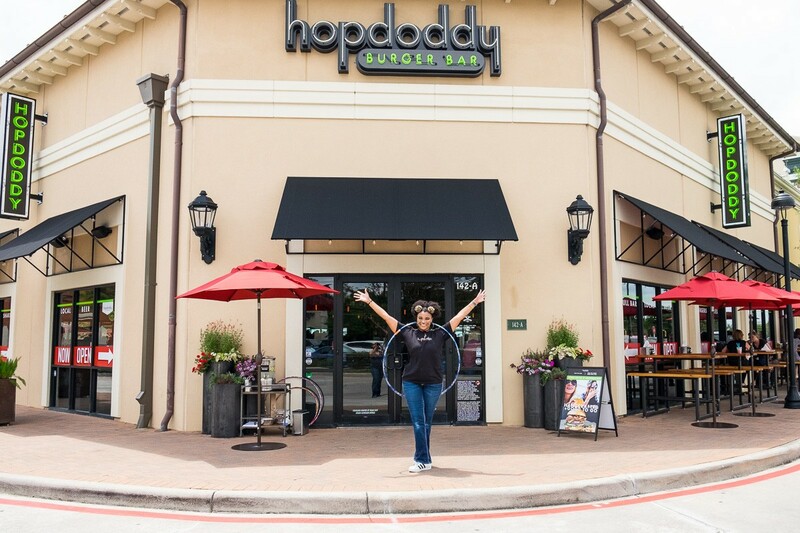 One of Austin-based Hopdoddy's five current Houston locations.Photo by Phaedra Cook. The trendy, plant-based meat substitute known as The Impossible Burger was recently introduced to the Houston market at Underbelly and The Hay Merchant. It’s now been introduced at a second group of restaurants in the area. The patty of Internet fame—or infamy, depending on the audience—is now being served at all three Hopdoddy Burger Bar locations around the city. It’s part of a state-wide rollout by the Austin-based chain. Unlike traditional veggie patties, the Impossible Burger aims to convert meat lovers with a combination of taste, texture, and appearance. Scientist Pat Brown created his product to combat environmental issues associated with raising traditional beef. The goal of Brown’s company, Impossible Foods, is to provide an experience that feels authentic to carnivores in addition to vegetarians and vegans. The most talked-about element is the burger “bleeding” as it cooks, courtesy of a plant-based protein called heme. The meat substitute also includes protein from wheat and potatoes, and fat from coconuts. The Impossible Burger dressed up with Tillamook cheddar and Sassy Sauce, sandwiched between a Brioche Bun. Photo courtesy of Hopdoddy Burger Bar. At Hopdoddy, Impossible Burgers are served with Tillamook cheddar, lettuce, tomato, onions and the chain’s Sassy Sauce on a brioche bun for $14. Saint Arnold beer pairings are also available. While Austin locations report selling out of the patties, only time will tell if Houston’s burger lovers are willing to make the switch. Get tickets to the annual Foodways Texas Symposium in Brenham for great feasts with an educational focus.